The #DancerResource project, initiated by up and coming choreographer Trey McIntyre, is a collection of essays, letters, and videos from artistic directors, choreographers, and dancers responding to questions from young dancers about how best to prepare themselves to join a dance company, and how to navigate the transition into becoming a professional dancer. Preparing yourself for life as a pro dancer can be daunting task, especially without useful advice about how to instigate the transition and make it successful. McIntyre has created more than 100 works for dance companies such as New York City Ballet, American Ballet Theatre, Stuttgart Ballet, Hubbard Street Dance Chicago, and Pennsylvania Ballet and founded his own company, Trey McIntyre Project, in 2005. McIntyre has created the #DancerResource project that taps into the lives of professionals in the field in order to share their expertise and knowledge. It provides specific information for aspiring dancers, such as how to approach different companies and how to work as a freelance dancer. 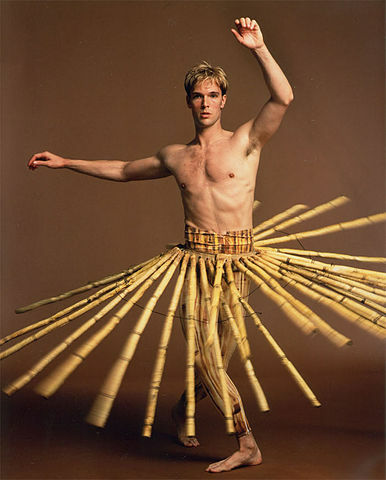 As a result of personal experience in providing live resources to uncertain dancers, McIntyre has consequently reached out to directors – such as David Hallberg of American Ballet Theatre – himself in order to ask the questions that students want to know the answers to in order to aid their careers. The resources are ultimately varied and full of perspective from large and small, contemporary and classical companies alike, a welcome aid to the many dancers training and using the resource. McIntyre has been able to reach out to artists he knows personally, a great coup for the project; all those who have contributed to the #DancerResource project have agreed that there is a definite need for this information, and the project has filled a niche. There are any number of students looking to forge a professional dance career at any one time, so ultimately the #DancerResource project has provided what schools may not, teaching students how to adapt to the professional world for a successful career, despite providing fantastic technical training. The #DancerResource project can be found on the TMP Facebook page, as well as the series archived on the Trey McIntyre Project website. English National Ballet’s platform for emerging dance makers, Choreographics, will take place at Sadler’s Wells’ Lilian Baylis Studio on 19 and 20 June, a programme celebrating young choreographers. The initiative of the event focuses on the development of up and coming choreographers both within and outside the Company, offering them the opportunity to progress their skills as creators and discover their own choreographic language. Recent debate regarding the absence of female choreographers in the dance industry has been heartfelt and passionate, so it is encouraging to see female dancer Stina Quagebeu as part of the programme, following Artistic Director Tamara Rojo’s additions to the debate. For the first time, Choreographics is open to artists outside of English National Ballet in 2015, and sees work presented by Morgann Runacre-Temple, choreographer in residence at Ballet Ireland since 2009, who has created four full-length ballets for the company; and Renato Paroni de Castro, who has previously choreographed works for Sarasota Ballet and London Studio Centre’s classical ballet performance group, Images of Dance. The six works programmed are completed by company dancers, inspired by the theme of post war America, from English National Ballet artists Fabian Reimair, who created We Are Free for last year’s programme; James Streeter, who’s work In Living Memory was performed at Latitude Festival in 2014; Quagebeur, who’s Vera was selected by The Breaking Glass Project and performed in New York, and who recently worked on English National Ballet’s second Dance Journeys project at Sadler’s Wells; and Max Westwell, making his debut as a choreographer in a professional setting. Each choreographer will receive mentoring from award-winning choreographer Russell Maliphant and dancer, choreographer and teacher Kerry Nicholls. Musical guidance will be received from English National Ballet’s Music Director Gavin Sutherland, and each piece created will be performed by English National Ballet company members, ensuring the roots of the competition continue to flourish. The iconic Tate Modern is to become a museum of dance for 48 hours as 75 performers take over the gallery spaces for displays and workshops, and the Turbine Hall is transformed into a nightclub, planned by French choreographer Boris Charmatz. The May project will feature performances ranging from ballet to krump as well as works by the renowned Charmatz himself. The project was inspired by Charmatz’s unique outlook on both dance and the world in general, in seeing the world differently and too the different elements of choreography within it. Changing the perspective of the Tate will be a test of what would happen if Charmatz and his dancers took over from a dance point of view. Charmatz first worked with the Tate Modern in 2012 on a small performance piece, through which he began to discuss doing something more ambitious. Charmatz is a choreographer who is always looking beyond being a dancer and choreographer, and the dance space that has been given to him. Creating dance for a proscenium stage is not enough for him, and lead him to consider the points between the art gallery and the theatre. As a result, his dance experience will be explored in how it also connects to everybody else’s experience of dance and dancing. The Tate will undergo a complete transformation for its two-day alteration, presenting choreography and pop-up ventures in the collection gallery and the public spaces. Whilst walking through the venue visitors may find an ex-international ballet dancer, someone performing improvisation or a krumper; Charmatz holds dear the idea of giving the heritage of dance away for free by teaching and giving people something to take away from the experience in the dancing museum. BMW Tate Live: If Tate Modern was Musée de la Danse? will be taking place throughout Tate Modern from 15-16 May. The Merce Cunningham Trust, established in 2000 to further the iconic American choreographer’s legacy, has announced an award of $250,000 to the Baryshnikov Arts Centre, and $375,000 to the Foundation for Contemporary Arts. Both organisations were seemingly highly important to the choreographer during his life, especially the Foundation for Contemporary Arts as it was founded by Cunningham’s partner John Cage, and Jasper Johns, a longtime collaborator. The Foundation provided vital support to Cunningham over the many years he worked before his death in 2009. Equally so did Mikhail Baryshnikov, who performed Cunningham’s work and assisted fundraising. Baryshnikov heads the Baryshnikov Arts Centre. These generous donations mark the first – and perhaps only – time the Merce Cunningham Trust has awarded cash grants: it may not happen again. 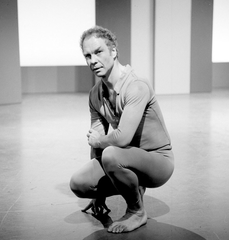 The Merce Cunningham Trust works to support the legacy of Cunningham’s work, and much work is done to support the licensing of the work. The recent donations awarded have arrived without any criteria by which to work with the donations, despite the Trust’s aims, not even to encourage the teaching of Cunningham’s technique. Meanwhile, the Baryshnikov Arts Centre has been raising funds to establish a Cage-Cunningham fellowship, and will also rename its largest rehearsal space the John Cage and Merce Cunningham Studio. In focusing on its own fundraising for the fellowship, it seems the Merce Cunningham Trust donation was a surprise from the sister institution, especially a provision of this size to aid its work. The Centre aims to advance the next generation of ‘rigorous artistic rule-breakers and innovators, in the names of Cunningham and Cage’ and can do so through the award. The Foundation for Contemporary Arts will use the grant to establish a biennial Merce Cunningham Award, the first recipient of which will be choreographer Yvonne Rainer; Jasper Johns has particular memories of Rainer dancing in Cunninhgam’s old 14th Street studio. Resolution! – the biggest annual showcase for dance in the UK – returns to The Place from 8 January to 21 February 2015. Each night is a triple-bill, profiling 84 companies across 28 nights in a huge celebration and support of new choreographic talent. This platform offers a springboard for the latest dance trends. These performances draw on diverse choreographic sources ranging from Indian classical dance to hip-hop, ballet, capoeira and physical theatre, and deal with themes of gender, sexuality, emotional turmoil, immigration, cultural rituals and traditions, as well as literary and scientific influences. By providing a safe creative environment, Resolution! has supported some of the greatest UK-based contemporary choreographers, including Wayne McGregor, Hofesh Shechter, Kate Prince, and more recently, James Cousins. Highlights of the 2015 programme include The Ashes: Dance Collective created by former Phoenix dancers, Estela Merlos who has performed with Northern Ballet Theatre and DV8, Joan Clevillé who has choreographed for Scottish Dance Theatre and worked with Lost Dog, Yukiko Masui who has worked with Rosie Kay Dance Theatre and Avant Garde, Joshua Beamish’s duet for Royal Ballet artists Nicol Edmonds and Matthew Ball and the National Centre for Circus Arts. Finally, Breakin’ Convention will co-present two companies exploring themes of race and masculinity as a fraction of the talent to be discovered throughout Resolution! The festival was created in 1990 and leads in facilitating the difficult transition from vocational dance training to the professional performance world. By the end of this 26th edition Resolution! will have presented almost 2,000 dance companies. 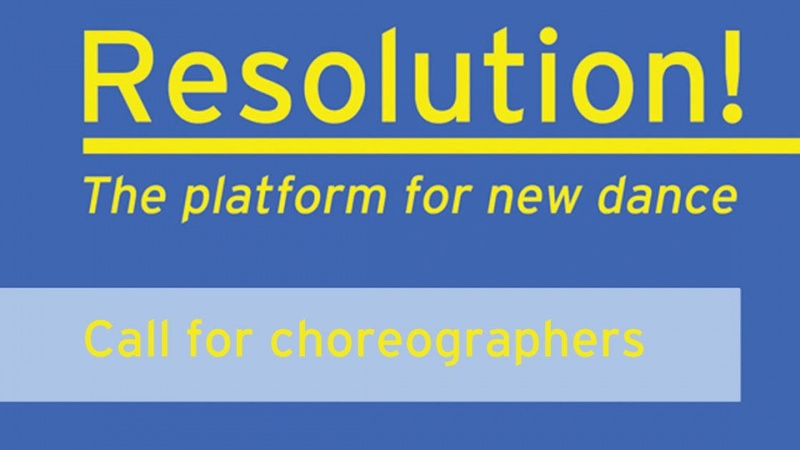 Supported by The Place’s professional team, Resolution! companies not only receive technical advice but also take part in a series of workshops to provide a comprehensive insight into all aspects of the profession, from lighting and design, press, marketing and social media, to project management and applying for funding. Like many other choreographers, such as George Balanchine and Martha Graham, Bob Fosse is one who created lots of spectacular work and an entire stylistic repertoire. His movements are slinky and sensual yet always have much emotional depth. Fosse died over 25 years ago yet his style is still desired and emulated widely, especially throughout the US. The revival of Chicago the musical, choreographed by Fosse devotee Ann Reinking, is still running on Broadway and Pippin (with Fosse-inspired choreography by Chet Walker) is also back. Fosse’s work continues to inspire. 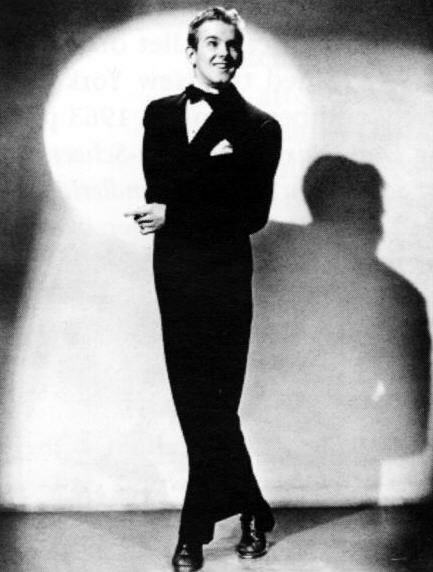 Fosse didn’t codify a technique to train dancers, yet his style serves as an essential base for students of all disciplines; Fosse’s smooth style and attention to detail are invaluable. Fosse is known to have called his dancers “actors”, emphasising that their primary job is to communicate a story as everything he did had an emotional, mental, political and ethical side to it. The dancers he trained are complete entertainers through their deep understanding of performance. Each step has intent behind it and you have to bring out every aspect of the character to convey it. Fosse style encourages dancers to engage emotionally and also helps develop ensemble skills. In addition to dancers working together as a group, attention to detail is paramount. The intricate nature of Fosse’s choreography means so much can be conveyed through the subtlety of a single finger wag or a sideways glance. The style requires an incredible work ethic because much of the work is based on intricate isolations, so dancers develop a heightened body awareness and focus. 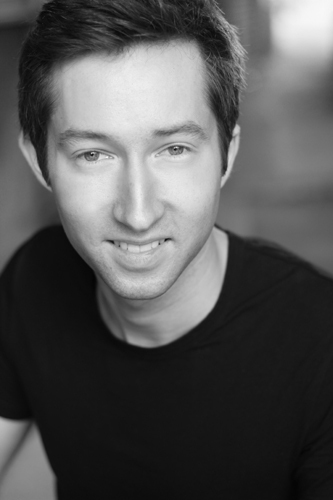 While the process of learning the work is intense, it is apparent there are two huge payoffs in auditions and onstage. You must be able to watch and replicate in a detailed and multi-layered way, and a diligent rehearsal process ensures confidence in performance. The iconic and ethereal dancer Sylvie Guillem has announced that she will retire at the end of 2015. Having begun as a classical ballet dancer at the Paris Opera Ballet and then becoming a principal with the Royal Ballet, the French ballerina turned contemporary dancer will be sorely missed by her audiences. Guillem joined the Paris Opera Ballet in 1981 where she was singled out by director Rudolf Nureyev: she was promoted to the top rank faster than any other dancer with the company. Guillem chose to make the announcement through the Japan Performing Arts Foundation; her farewell performance will also be taking place in Japan, which will make it difficult for the rest of her international following to witness the scheduled farewell. Recently Guillem has performed solely contemporary works, creating works with esteemed choreographers such as Russell Maliphant, Akram Khan and many others. Guillem is now 49 years old, however you would not know considering her fantastic technique and lithe body. Following a rather eventful career Guillem is one of the world’s most famous dancers. This is in part due to her fantastic legs and feet, but ultimately due to her impeccable performances and the artistry, expression and quality that comes as a result of her acclaimed performances. She is also an associate artist of Sadler’s Wells. November this year will see Guillem dance in a revival of Sacred Monsters, a duet with Akram Khan at Sadler’s Wells, giving London audiences the chance to see Guillem in action once again. Despite this, it is fitting that Guillem’s performance will be in Japan as she feels a particular tie to the country: her 2011 show 6,000 miles away was named for the country to support the earthquakes and tsunami victims in the country.